The steep Kochel Mountains are grouped in a semicircle round the Kochelsee on the edge of the Upper Bavarian Alps. The lake has an area of around six square kilometres and is up to 66 metres deep. There are numerous hiking trails through the beautiful countryside around its shores. From the Altjoch there is a level path following the lake shore to Schlehdorf, which is dominated by a massive church with a neoclassical interior belonging to the former Augustinian monastery. From the nearby summits there are views of the lake and surrounding mountains. Many artists have been attracted to the Kochelsee, among them Franz Marc, who settled in Kochel at the beginning of the 20th century. Today there is a museum showing his work and personal documents of the artist and his circle. 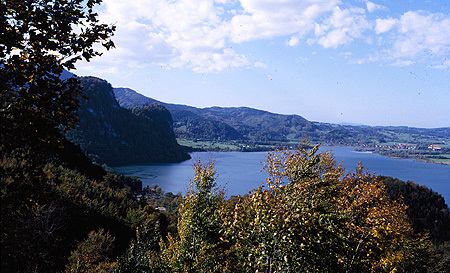 The Kochelsee is approximately 65 km south of Munich and can be reached via the A95 motorway from Munich to Garmisch. There is a connecting boat service from May until the middle of October.